Q. WHAT IS THE MAKE UP OF A CHIMNEY? Chimney Crown- The chimney crown rests at the top of your chimney, generally helping to protect exposed masonry chimneys from water and weather damage. Chimney Cap- Chimney caps are actually a roofed addition to your chimney. They function to help prevent water from entering your chimney, and can be fitted with screens to help keep birds and small mammals from nesting in your chimney. Flue- The flue is the empty space inside your chimney that allows combustion gases to vent. Flue Lining- For a safe flue, a lining must be used to ensure minimal accumulation of flammable debris. This lining should be stainless steel or specially formulated lining tile. Chimney Chase- The chimney chase generally refers to a factory made case used around factory made chimneys. 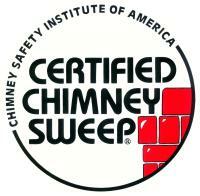 This function is taken by masonry chimneys in homes that have them. Smoke Chamber- The purpose of the smoke chamber is to gently compress the byproducts of combustion into a smaller space (the chimney) without causing back draft. The use of sloping walls, in conjunction with good fireplace design and maintenance, helps facilitate this. Chimney Damper- Chimney Dampers are lever or pulley activated doors within your chimney. They can be closed to prevent energy loss when your fireplace isn’t being used. They also help prevent rain water or animals from entering your home if your chimney cap doesn’t restrict this. Smoke Shelf- This shelf is just behind the chimney damper. Flat, it catches falling debris and rain water, and helps with the transition of large volumes of smoke into the small chimney. Q. WHAT IS THAT WHITISH DISCOLORATION ON MY CHIMNEY? A. The whitish discoloration on the exterior of the furnace chimney is efflorescence. It is caused by the escape of gases through gaps in the liner. Felgemacher Masonry can make specific recommendations about installing a new liner and tuck pointing or rebuilding the chimney if necessary. Q. HOW DO I KNOW IF MY CHIMNEY NEEDS TUCK POINTING OR REBUILDING? A. Take a close look at the walls of your masonry chimney. Do you see cracks, crumbling bricks, uneven areas of mortar, voids, and noticeable gaps between the bricks? If the answer is yes or you're not sure call us to provide an estimate of the repair. Q. I CAN SEE WATER COMING INTO MY FIREPLACE AND I CAN SEE WATER STAINS ON THE CEILING NEAR THE FIREPLACE. IS THIS AN ISSUE THAT FELGEMACHER MASONRY CAN REMEDY? A. Yes, Felgemacher Masonry can help you prevent future leaks, but doing these repairs will not undue existing stains. Felgemacher Masonry installs protective chimney covers and dampers. We seal crowns and flashings and also do chimney tuck pointing and rebuilding.